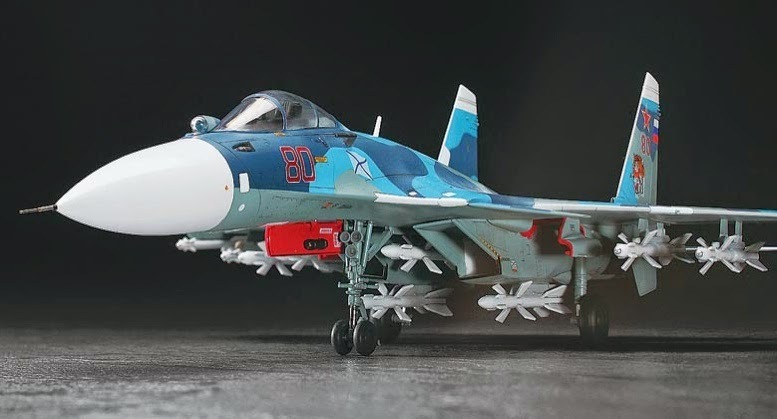 THE HASEGAWA 1:72 scale Sukhoi Su-33 is a decent kit of Russia's premier carrier warplane, and today's video provides some good detail shots, allowing model makers to add extra sparkle to this kit. 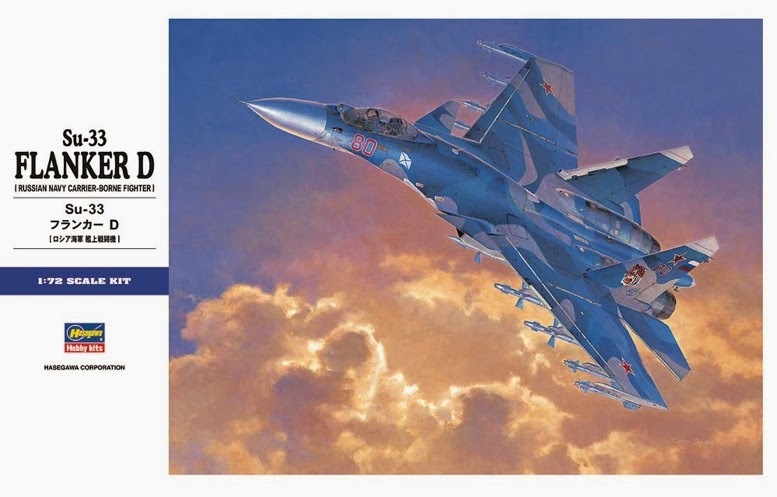 Box art (below) is to a high standard, and it's no surprise to see that it's been painted by Shigeo Koike, one of the world's grand masters of aircraft illustration. The Hasegawa kit is not brand new, though it's no worse for that. 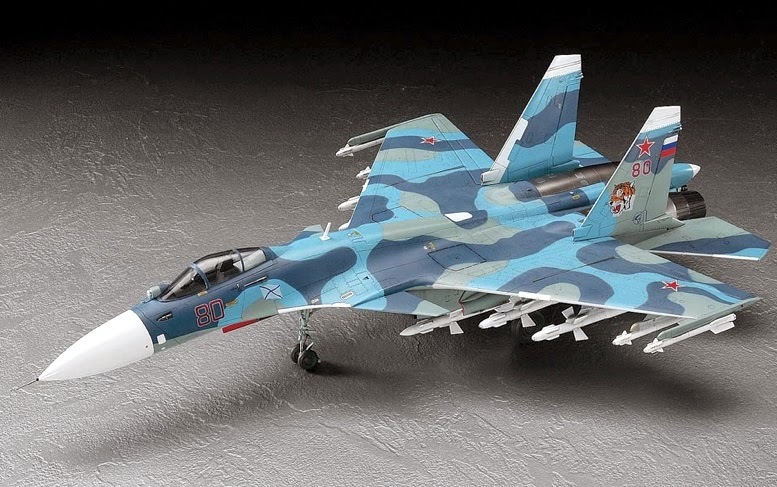 And at least for the time being, it's the only 1:72 scale kit of the Su-33 available. We found this open-the-box video (below) from Russia. We don't speak the language, but it's interesting to watch, all the same. The model pix here come courtesy Hasegawa, and depict the company's 1:72 offering. 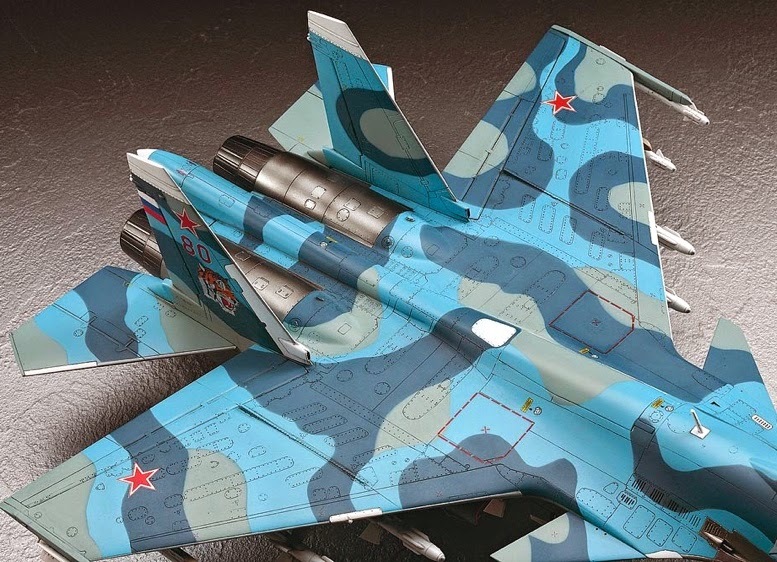 It comes with 204 components, and comes with two sets of markings, featuring Tiger and Eagle tail logos. The kit is generally up to Hasegawa's normal standards, and even at the relatively small 1:72 scale, still has an assembled wingspan of 204 mm (8.04 in) which shows that the real thing is a fair-sized beast. The pix are nicely shot, so thank you Hasegawa. We'd probably go a stage further after assembly, and add plenty of subtle weathering, highly suitable for depicting an aircraft that is used for all-weather operations at sea. 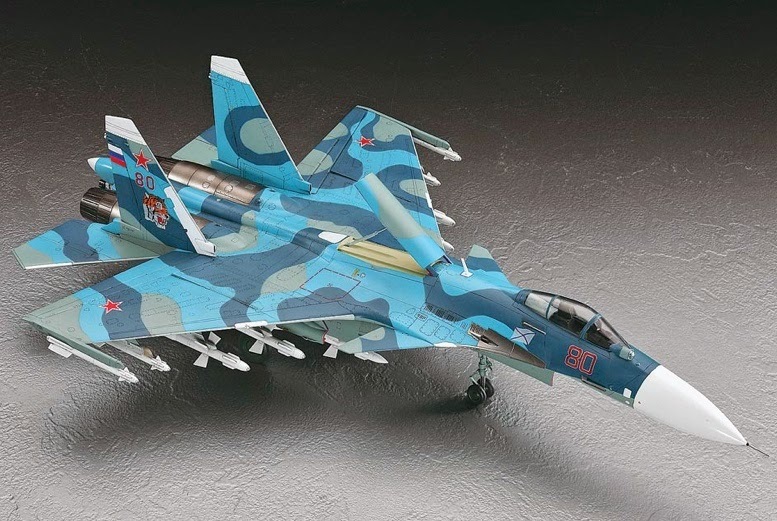 Apart from the Hasegawa release, there aren't too many alternative Su-33s out there, though perhaps the funkiest is the tiny 1:350 scale six-part kit from Trumpeter (advert below). Fully assembled, the wingspan of this mini-machine scales out at just 42 mm (1.65 in). The real thing is unusual for its tri-wing design, the canard foreplanes providing extra atmospheric bite for extreme manoeuvres, and for carrier operations. 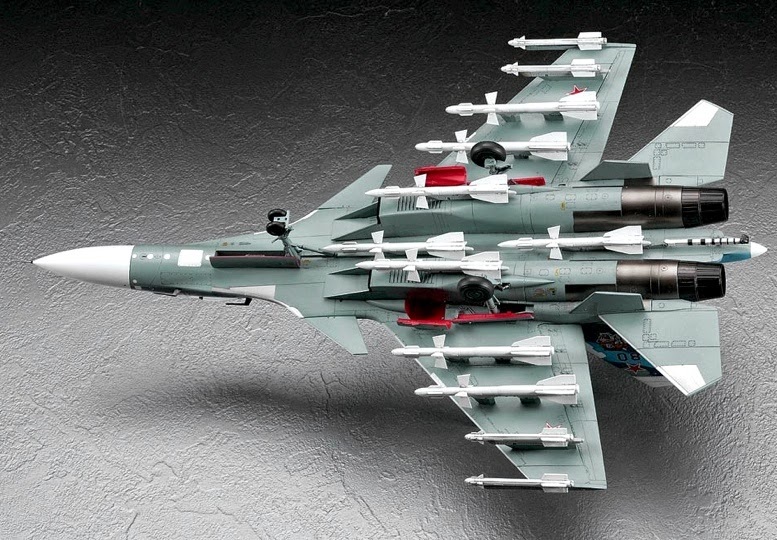 Loaded for bear, the Hasegawa Su-33 displays a variety of deadly missile ordnance, all of which comes in the box.